Bejuco Beach Home For Sale on the Central Pacific Coast of Costa Rica Only US$289,000. 200 meters to the beach. 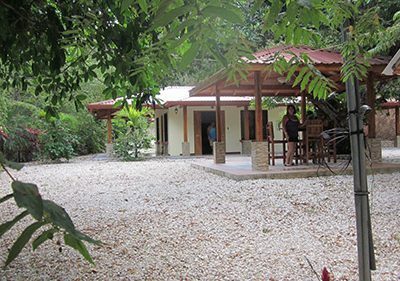 Welcome to the Casa Felicidad (Happy House), Playa Bejuco, Central Pacific, Costa Rica which is a fully furnished, 3 bedroom/3 bath beach home with private pool, located in a gated community just 200 meters to the lovely beach of Playa Bejuco which is located 20 miles south of Jaco and a two hour drive from San Jose. Two Furnished Homes For Sale in Escazu For Only $395,000 With Steam Room, Sauna & Jacuzzi! With free video. This new three bedroom, 3.5 bath home offers over 325 m2 (3,500 s.f.) on a beautiful 7,000 m2 (1.75 acre), STUNNING view lot. This lovely area has 80% of all the tourists who visit Costa Rica and Arenal Volcano, which this property looks on to, has become a symbol for the country. Beaches compete with each other but Arenal Volcano, the many hot springs, and the nearby lake, make this part of the country unique. Kay’s is a small, mom and pop style restaurant that specialize in homestyle cooking with daily specials and delicious, from scratch desserts, all served with a smile and abundance of welcoming hospitality. This is a great way to purchase an investment property in Costa Rica, while diversifying your investment portfolio with hard assets and helping you to hedge against inflation. 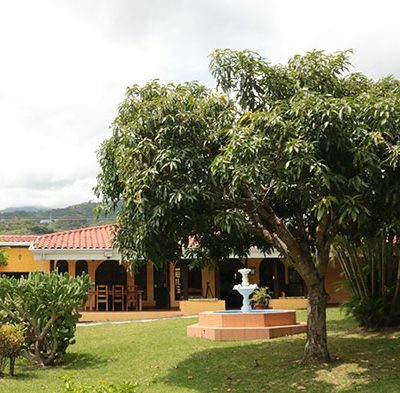 Here’s Why This Spacious Estate Home For Sale in Atenas, Costa Rica on 2.5 Acres Is A Bargain For US$995,000! Free video slideshow. 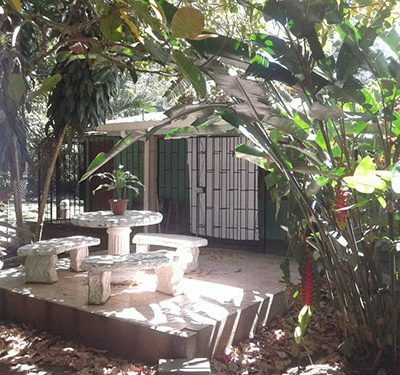 Single Family 2 Bedroom Home For Sale in Samara US$129,000. Casa Ramundo. Built in 2013, Casa Raymundo is located in the small country-side neighborhood of Linda Vista, in the hills just 15 minutes from Playa Samara with paved access 100% of the way. New Single Storey Home For Sale in NaturaPark in Brasil de Santa Ana, Costa Rica For $340,000. Casa #34 has 3 bedrooms, 3/5 bathrooms, TV/Family Room with Free video. Brand new three bedroom, two bath pool home, with 220 m2 (2,350 s.f.) of construction, situated on a 7,000 m2 (1.75 acre), view and wooded lot in Hacienda Atenas, a short five minute drive from Atenas. A walk to the beach one bedroom, one bath, single family residence located in Playa Buena Vista. Spacious Ocean View Luxury Home For Sale in Los Altos del Cacique, Playa Hermosa US$995,000. 4 Bed, 3.5 Bath, Infinity Edge Pool. This 4 bedroom, 3.5 bathroom exquisitely designed and sumptuously finished home has a total of 5,600 square feet of energy efficient construction including the outside terraces, garage and pool.